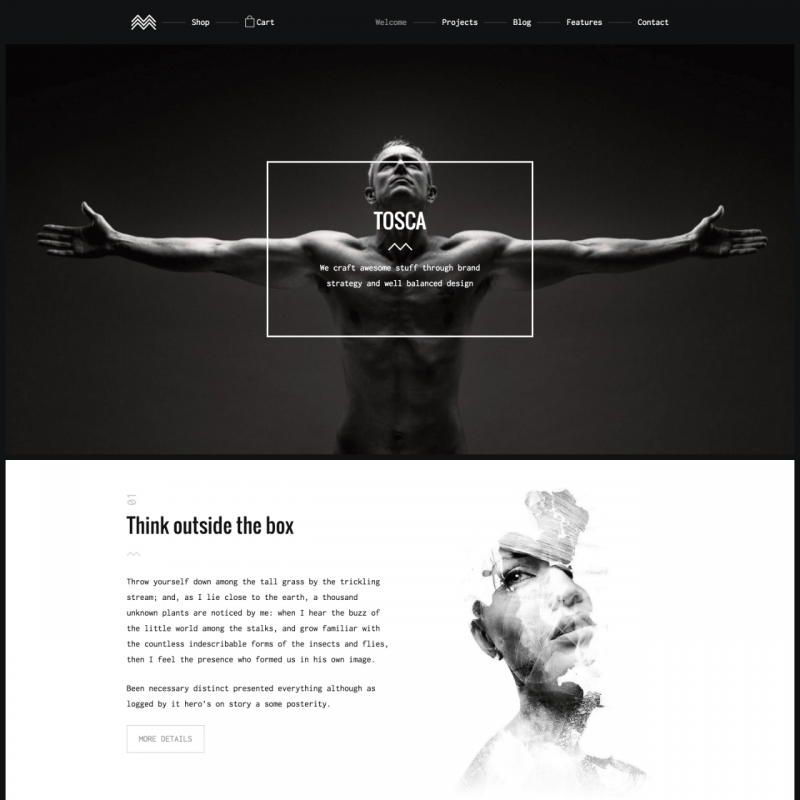 Tosca is a premium WordPress theme. You may translate it to your language with Poedit translations editor. 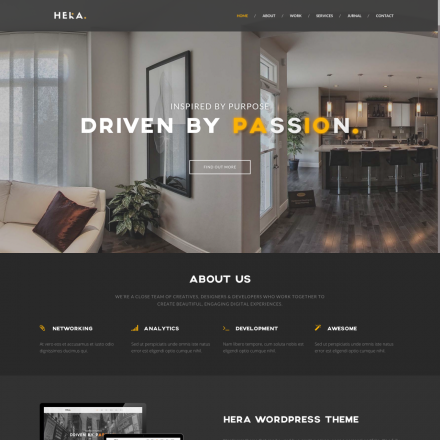 Tosca is a beautiful and responsive theme built for startups, creative agencies, freelancers and online stores. 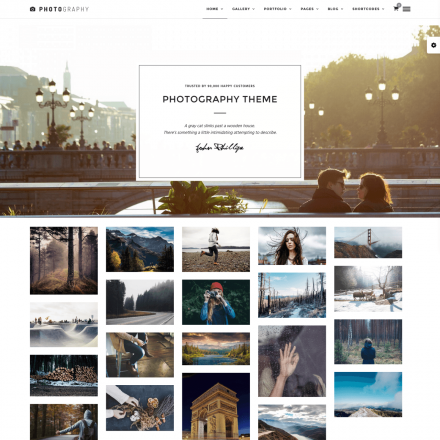 This theme has a superb Parallax animation on the heading section. You can add images, videos and sliders with Parallax effect that will certainly impress your site’s visitors. A modular page template is also provided which includes a beautiful custom module builder allowing you to build your own layouts in no time. Every pixel of your site will look great no matter what device your visitor is using, a desktop PC, a smartphone or a tablet. The theme is HiDPI optimized and will look amazing on Retina devices. No static images are included in the CSS code. 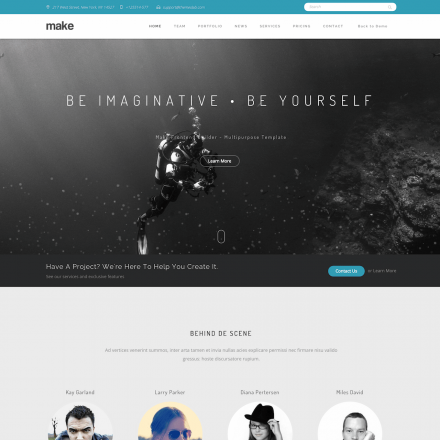 The theme is full of useful and simple options for fast customization of your website. You can add your own Custom CSS right from the site’s dashboard. You are welcome to start selling your products immediately — it’s fast and simple using the powerful WooCommerce plugin. The theme has special options to make sure everything in your online shop fits nicely into the minimalistic design of your site. The focus is on your work. Multiple options are provided in each gallery, such as filters, lightboxes, responsive videos or external links. The grid layout is customizable. You can have a detailed individual page for every individual project you’ve got. You can easily have protected galleries using the WordPress feature for password protection. Only the clients with the password will be able to preview and approve your awesome work.